I visited my first auction when I was seventeen. The number of items on display and for sale was overwhelming. The auction house, with its wide range of art and design, began to play an important role in my life. After three jobs in which books, designer furniture and film played a central role, I entered the world of arts and antiques. I also decided to go to university to study Art History, but discovered that an academic study was not for me, and started out as a self-employed antiques dealer instead. 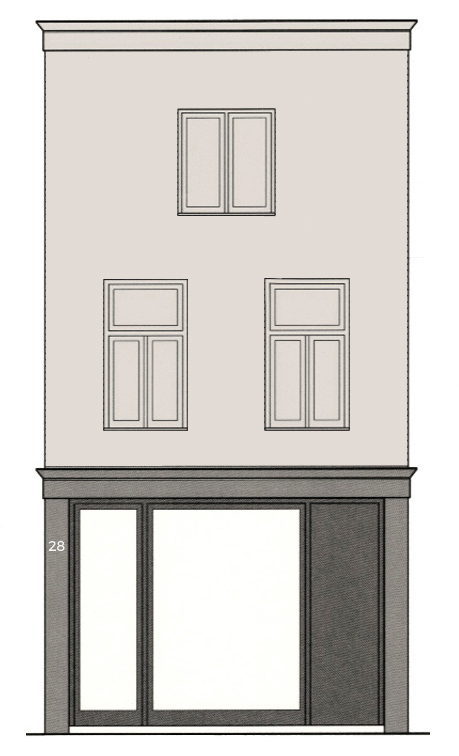 I tentatively opened my first shop on Weteringstraat in Amsterdam. The job of art dealer rather suited me, and I found myself gradually specializing in ‘Arts Wrought by Fire’: glass, porcelain and earthenware, and especially Asian objects. I also had time and space for other endeavors. I became a broker appraiser, licensed by the court; set up (with others) ‘Spiegelkwartier’, the Spiegelstraat Antiques Area; I chaired the Breda Art and Antique Fair for almost ten years. And almost twenty-two years ago, I began publishing my own magazine ORIGINE, a quarterly about art, antiques and design. After running shops in the Amsterdam Kerkstraat and Nieuwe Spiegelstraat, I moved to Haarlem. There I found ample room for new initiatives. In addition to my specialization, I started selling furniture and – with the support of my employees – organized numerous art and antiques fairs. This went on for a couple of years, under the heading ‘De Dagen’ [The Days]. Among other things, I initiated De Etnografica Dagen [Ethnographic Days] and De Outsider Kunst Dagen [Outsider Art Days]. So why set up a business in tribal art? The answer is simple: over thirty years ago, I bought my first mask for my private collection. At the time, my interest in art and design from Africa and Oceania wasn’t as pronounced as it is now, but this purchase marked the beginning of a life-long love affair with art from these parts of the world. This love has grown to such a degree that over the years I have gradually sold off the European art that initially formed the foundation of my collections. I feel at home with tribal art.